What am I going to do when I finish college? Will I GO? or Will I STAY? 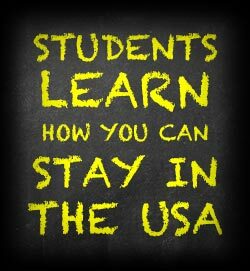 At VM Gokea Law we are committed to helping foreign students who love our American way of life to continue staying in America after graduation from US Colleges and Universities. We will guide you through the maze of non-immigrant and immigrant visas and make your immigration process as clear and as easy as possible, while advising you on the shortest route to achieve your particular goals. Using the experience and knowledge of VM Gokea Law attorneys you will develop a plan and a strategy to follow-up in reaching your goals faster and easier. “Friends don’t let friends illegally stay in the USA!” Talk to your friends and relatives, colleagues and associates. Tell them to call us when they need immigration advice! Thanks for signing up! Check your email for your free report!